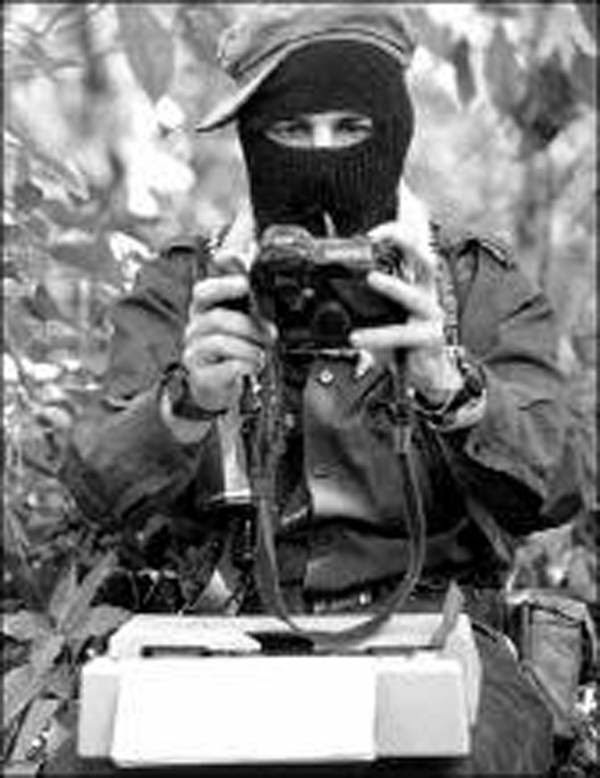 Zinacantan: They are attacked, threatened and have their electricity and water cut for sympathizing with the EZLN. To give an account of the events which occurred on Tuesday November 3, 2015; groups of supporters of the political party the Institutional Revolutionary Party (PRI) and followers of the Protestant group of religions, as well as the Federal Electricity Commission (CFE) – all these groups came to the houses of 4 families and were intimidating the compañeras, women and children, adherents to the Sixth Declaration of the Lacandon jungle, they cut off the supplies of water and electricity as well as the telephone with the intention that they could have NO communication; the people from the Institutional Revolutionary Party (PRI) said “because they are EZLN sympathizers and adherents to the Sixth Declaration they are under threat” and they said that “they were going to hang them and disappear them because the government does not want organized people;” therefore we are making all the collective organizations aware of what happened in the area of Shulvo since the escalation of violence continues to increase, it originated from the presidency of the republic of Enrique Peña Nieto and the current governor Manuel Velasco Coello and the municipal presidency of the municipality of Zinacantan, Chiapas. On 9th December this year our compañeros adherents to the Sixth Declaration were again repressed in the community of Shulvo. At approximately 5:30 pm to 6:30 pm, when the children, women and men were in their homes, there arrived groups from the PRI led by agents of the PRI (Mariano Pérez Pérez Assistant Municipal Agent of Shulvo, Mariano Ruiz Vazquez the Alternate) causing damage and destruction to homes, likewise damaging Nissan brand vehicles belonging to the compañeros attacking them with stones and other materials, we regret these acts against the compañeros who suffered Physical Violation. In a communication by telephone we were informed in our headquarters of the Autonomous Municipality Vicente Guerrero of Elambo Alto and Bajo as adherents to the Sexta, we were advised that our compañeros were being attacked in Shulvo; we immediately went to the rescue of our compañeros (as) since the members of the PRI and those accompanying them were threatening to displace, place, beat and burn them. Around 9 pm we arrived and found in fact that the houses of our compañeros belonging to the Sixth Declaration had been destroyed, in the place we were talking for about 5 minutes when we noticed that a PRI group began to attack them verbally, we ignored them and decided to retreat in order not to cause any conflict, but then we realized that they were waiting for us at the gates with stones and missiles, attacking the vehicles which were transporting us to leave the place; at that time some of our compañeros were injured by the stones thrown. We demand the resolution of these events and he punishment of those responsible for the events on the above date. Total punishment for the oppressors and aggressors, enough of impunity on the part of the federal, primarily the state and municipal, governments.